@Steve, Yes you are on the right track. Everything you asked for is doable with this plugin. You will be able to offer the free ebooks using our squeeze form (and build the list in the process). The plugin has an option where it will automatically subscribe the users to your AWeber list (when they purchase an ebook or downloads it via the squeeze form). 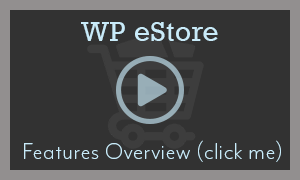 You can start with just the WP eStore plugin and get everything going. Later, you can add the stamper plugin to the site if you want to stamp the books (additionally). I have read through your extensive documentation for all your products and I think that they could be my one stop shop for what I have in mind. I read them through the eyes of a newbie so I could be wrong so I need a little clarification before proceeding with a purchase. I have some digital products such as pdf eBooks and video tutorials. I have a wordpress site. I intend on using AWeber to build a list and then market to that list. I intend on using PayPal. (If indeed I need to). Some eBooks will be free and used for list building. I want the paid eBooks secured as best as possible. I want to limit the ability for the paid product to be found unless it has been paid for. I also like the idea of your stamping system for both the free and paid eBooks if that is possible for both. Am I on the right track with the above? Do your products fit with what I envisage? Which products would you suggest I will require for the above? Can you clarify the set up process? Do any of your products automatically collect my subscribers for your benefit, i.e. subscriber is added to AWeber and also added to your own marketing list through your product software? A lot of questions and I hope you can answer them as I envisage purchasing as a bundle if all fits. @Minday, Yes the eStore has an option that allows you to export the used serial keys to an Excel/CSV file. Can you export a list of the used serial keys that have been sold? @Mel, Yes you can disable the auto expiry of download links from the settings interface of the plugin. Can the encrypted download link expiry be disabled? @Rehab, Yes you can integrate it with 2co gateway. @Ken, yes you can setup the plugin to do what you suggested. You will use the manual/offline checkout option of eStore for this. I was wowed when testing your WP PayPal Shopping Cart, so I came here, and I have a question before buying WordPress eStore Plugin. What I need is the option of NO payment gateway. My client wants the full shopping cart interface for the customer, but upon submit, he wants it to send an email shopping list to him. He then can contact the customer and complete the transaction manually. Can this be done without customizing WordPress eStore Plugin? To bypass the payment gateway altogether? @Jakob, Yes you can translate the front end of the plugin, you can also change the button images. There should already be a Danish translation. However if there is not or you need to modify the translation we have instructions on how to this in our forum. Hi. Before i buy, I wanted to know if it is possible to translate everything to danish. Can I do myself ? Can I set up for volume discount(s) 1-10 get one discount 11-20 and so on get another? @ Andy Yes the eStore has the option for in-store pickup. When the customer chooses in-store pickup they will not be charged shipping. Can I have an option in the shopping cart for my customers to pick the item in-store? Also if they choose this option would they still be changed shipping? Your plugins seem like they will meet my needs. However I sell some large items that need to be picked up in store and I want to make sure this can be done with the eStore. @Bree, Yes you can bundle a physical and digital item together. Also the digital item will still be delivered instantly. You can read more about this on the eStore documentation page. Can I sell a bundled product that has both a physical and digital item? If so does the digital item still get delivered instantly? @Vera, Yeah you can use the combination of eStore’s pay per view feature and encrypted download now button shortcodes to do what you are after. 2) Then you will use the Pay Per View feature on this newly created page so no one can go to that page and download items. 3) Finally, you can generate an encrypted link for that Pay Per View page and send it to your user. Your users who click on the special link will only get to see the content of the page and download the items from that page. WP eStore also has a feature that lets your customers re-download items they purchased (it might be helpful for your setup). If I have 5 or 10 separate downloads that a customer can purchase in a single package, can I supply an encrypted link to a single page where they can download them individually? I already sold access to a digital product to over 400 customers through another system that isn’t working well for me. If I switch to this plug-in, is there a way to give those customers encrypted access in case they need to download their items again? I want to say I love your fancy displays. Being able to just place a shortcode on a page and change the look of my store is fantastic. It gives someone who is not very techie (like me) display options rather than just using a default one. @Mark, Yes we have a digital variation options that allows you to sell a files in different formats. You can read about this here: https://www.tipsandtricks-hq.com/ecommerce/?p=345 See the digital variation section. Can I sell a digital item that had different file variations? For example: I have an ebook that comes in Nook, Kindle, PDF and Adobe DRM ePub. Can I have it so the customer pick which device they want the file for? @Jessica, The eStore has a squeeze page option that I believe will fit your needs. 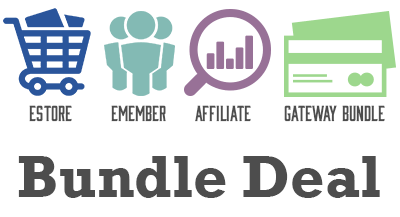 @peter, The bulk discount addon has an option that you can use to specify a few products that will be eligible for the bulk discount. When you use this option, the bulk discount will only be given based on the eligible products that are in the cart. Thanks for the quick reply. 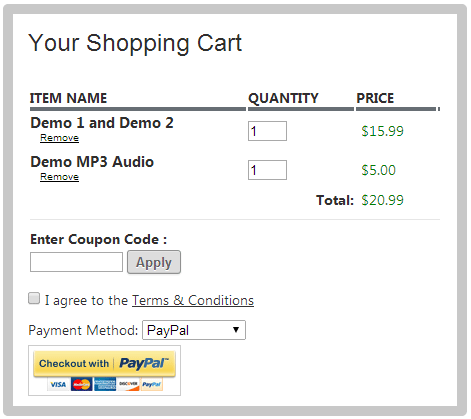 Does this enable me to have the volumes based on the product, rather than the whole amount in the cart? So if a customer orders 1 of item A and 10 of item B, they do not get a discount on item A but they do get a discount on item B. Thank you! Hi – I would like to be able to offer volume based discounts on products. So if a customer orders 1 item vs 10 items they get different pricing. Does this tool enable me to do this? I would like to sell video recordings but not in a downloadable format. Customers are given a link to where they can view the film online. Will teh eStore plugin allow this easily? When I use a product I believe in giving feedback. So here goes, I love this plugin. It is simple to use and does what I need it to. This plugin worked out of the box and with the videos I was up and running a lot quicker than I ever expected. @Kylie, Yes you can run both the plugins side by side on the same site. I am currently running Simple WP Shopping Cart on my site which is working really well and I don’t want to change. I am wanting to sell ebooks from my site with the proceeds going to a different paypal account. Can I run them both side by side without interference? @Anon, The PDF Stamper is a stand alone plugin it is not part of the eStore. However there is eStore integration so it can be used with the eStore. Hi, is the PDF Stamper part of eStore? Or could it be integrated with it? @Bob, you don’t need to do anything when you are using the eStore and the affiliate plugin. They work together nicely. The following documentation has more explanation. I have estore with wpaffiliate. I see it can handle click tracking but is there a way to also report impression tracking with a pixel or banner image impressions. It would be really great if we had a way to track both test and banners with a pixel but I would settle for any option at the moment. @Shoebox, The following plugin maybe of some help to you. Hey there! I’ve been following your weblog for a long time now and finally got the courage to go ahead and give you a shout out from Austin Texas! Just wanted to tell you keep up the fantastic job! @Turiya, There are 2 Next gen Gallery integration options with the eStore. I need to have images that display an option dropdown and add to cart button. Does your plugin integrate with NextGen Gallery? I’m using a different gallery at this time and it’s giving me a lot of trouble. Hoping your cart will work for me with NextGen or something similar. @Sophie, Yes you can translate the front end of the plugin to whatever language you need. Hi there, is all the text customisable to be used on a non-English site? @Jessie, Thank you for the kind words. We are using a paid theme framework that we customized ourselves. I’m really inspired along with your writing skills and also with the layout on your weblog. Is this a paid theme or did you modify it your self? Anyway, thank you for creating such good quality products. I like your estore plugin. I love the fancy displays this plugin has. It made it so easy to create my shop the way I wanted it to look with no coding. You guys really do think of everything. I just wanted to tell you thank you for making an easy to use plugin. Since this plugin was so great am going to have to checkout your other plugins. It looks like you also have a bunch of cool free plugins. Thank you for a great working plugin. @June, Yes you can add a coupon and specify conditions including the conditions you are looking for.